Fernando Planas has been named the new director of admissions at the University of Illinois Springfield. He began on September 2, 2013. Planas comes to UIS from the City Colleges of Chicago, where he served as the Associate Vice Chancellor for Enrollment Management. 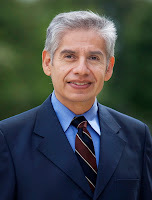 Before working with City Colleges of Chicago, Fernando served in several positions within enrollment management at the University of Illinois at Chicago, beginning in 1993 as an Admissions Counselor. “Fernando’s extensive experience in recruitment, particularly with diverse populations, is a tremendous asset, as UIS moves forward in increasing our student enrollments,” said Tim Barnett, UIS vice chancellor for Student Affairs.